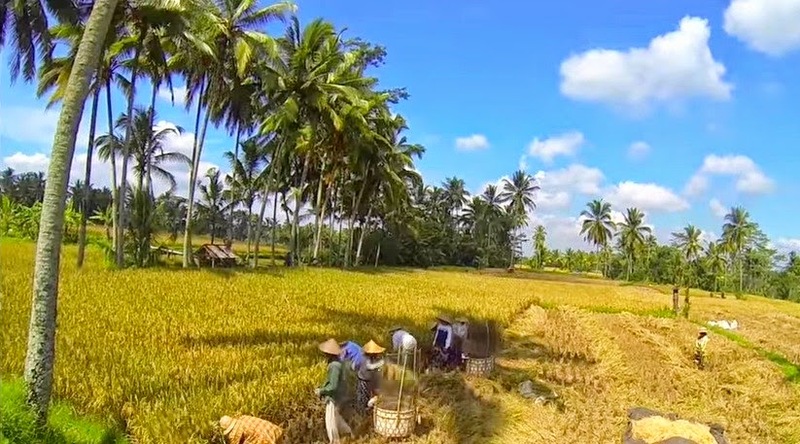 Rice is the main commodities produced by most farmers in Bali Indonesia. When the harvest, farmers earn money. Long ago, when the harvest of all rice produced is stored for the needs of daily meals. But this time, when the harvest season, farmers only get the money. All the rice has been bought by middlemen. The contract has been done since the beginning, since farmers began planting rice. Contract with middlemen. Remain poor farmers, middlemen richer.